Beautiful everyday Hawaiian shirt brought to you by Hawaii Hangover. 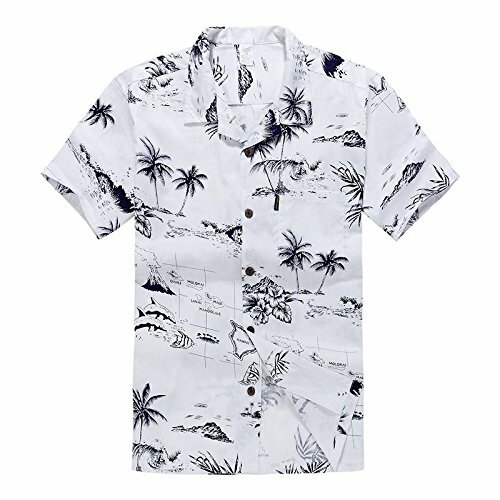 This shirt has all Hawaiian elements in calm print which makes it really nice for everyday use. Material is 100% cotton, pre-shrunk. Hawaii Hangover also provides the matching Kids' Aloha shirt and Women's dress for this exact print. Simply click on "Hawaii Hangover" anywhere you see to view more selections. If you like this print, it also comes in a variety of colors (light grey, grey, blue, navy, salmon, yellow, blue, red). If you have any questions about this product by Palm Wave, contact us by completing and submitting the form below. If you are looking for a specif part number, please include it with your message.